We also have this site, with information so you can learn more on a variety of youth-related issues, as well as resources: a list of organizations and websites where you can get help. It’s for youth who need a safe, respectful place to access support and information, or just someone to listen without judgment. By “youth”, we mean 25 and under, but we’ve never turned anybody away based on their age. 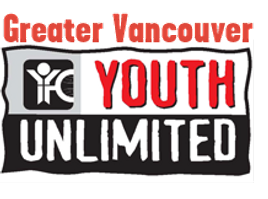 A place of connection and transformation, Youth Unlimited helps young people discover their potential. If they feel alone, marginalized, vulnerable or just need somewhere fun but safe to connect to we’re here to walk with them, help them learn life skills, support their growth as a person, and discover their potential. We do this through activities, arts, sports, camps, drop-in centres, youth groups and a myriad of other programs accessible throughout Greater Vancouver.Our Ethos We’re a Christian organization but we’re not preachy, so we’re able to make genuine connections with young people and support them with the help they need – be it physical, mental, social, emotional or spiritual. We’re about genuine relationships. We don’t judge or tell. Instead, we listen and have the conversations youth want and need to have. QMUNITY is a non-profit organization based in Vancouver, BC that works to improve queer, trans, and Two-Spirit lives. We provide a safer space for LGBTQ/2S people and their allies to fully self-express while feeling welcome and included. Our building serves as a catalyst for community initiatives and collective strength. 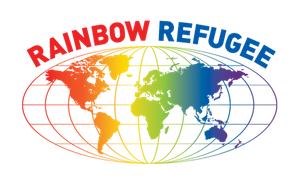 Founded in 2000, Rainbow Refugee is a Vancouver based community group that supports people seeking refugee protection in Canada because of persecution based on sexual orientation, gender identity, gender expression (SOGIE) or HIV status. We support and assist LGBTQ+ /HIV+ refugee claimants in BCs Lower Mainland through facilitated peer support, referrals, system navigation and accompaniment. We are proud to steward the Rainbow Refugee Assistance Project, a Blended Private Sponsorship Agreement in partnership with Immigration, Refugees Citizenship Canada (IRCC). Through this program LGBTQ+ communities in more than 14 municipalities across Canada have sponsored LGBTQ+ refugees. The Transgender Health Information Program – THiP – is a BC-wide information service and resource hub. We want to make sure people have the information they need to access gender affirming health care and supports.Our support services include those for people who identify as trans, their families, friends, loved ones and service providers. The Trans Care BC vision is a British Columbia where people of all genders are able to access gender-affirming health care, and live, work and thrive in their communities. BC Council for families supports families of all different compositions. And providing practical resources and positive spaces for LGBTQ families is essential because LGBTQ families face unique challenges. If you’re an individual who identifies as LGBTQ or you work with people who identify as LGBTQ, and you’re looking for answers to commonly asked questions such as “How can I start a family?” or “What types of LGBT specific resources exist for me? 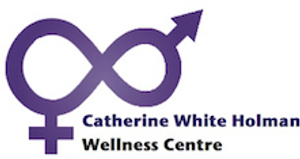 Catherine White Holman Wellness Centre, we aim to provide low-barrier wellness services to transgender and gender non-conforming people in a way that is respectful and celebratory of clients’ identity and self-expression. Our centre is volunteer run, and all of our practitioners At the Catherine White Holman Wellness Centre, people are free to self-determine their gender identity and expression.We acknowledge and resist the harm done by the helping professions through the pathologization of gender diversity. Rather than diagnosing gender identities and expressions, we celebrate them.We aim to provide health services for all gender diverse people, regardless of whether they desire medical or surgical interventions are volunteering their time, so that we can offer free services to people who need them, factors like citizenship, health insurance, or residential address. On Line Course - LGBT Youth: A Crisis of Belonging was designed for professionals working in schools and organizations that serve children and adolescents identifying with the LGBT+ community. This course provides information related to working with LGBT+ young people. 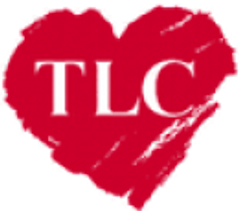 Topics include rejection experienced by LGBT+ youth, the “crisis of belonging” experienced by LGBT+ youth, the trauma of rejection and its effects, using “The Five Shifts” to connect with and understand fellow members of the human family, The Oneness of Humankind and various other skills, tools and tips for being an ally to LGBT+ young people. You will leave this course armed with the knowledge and tools you will need. The course consists of video segments of a live presentation by Derek Allen and a test. Click here to see the first video segment of this course.